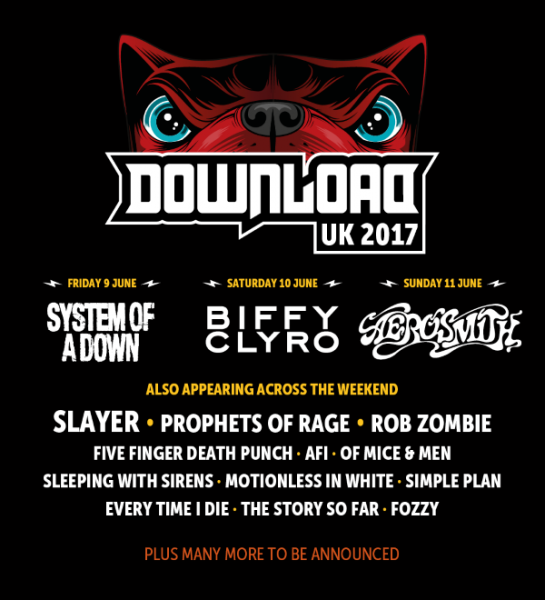 It’s Download Festival announcement time of year once again and the first announcement has served up not one, or two, but all three of 2017’s headliners! Kicking things off this year on Friday night are System Of A Down. With things much improved in the S.O.A.D camp since their ill-fated reunion performance in 2011, Daron, Serj, Shavo and John will be welcomed with open arms back to Donington to headline for the third time. Taking on the role of heading up middle Saturday in 2017 are Biffy Clyro. The Scottish rockers have previously headlined both Sonisphere and more recently Reading and Leeds and they are now the newest band to be given the honour of headlining at Download. Lastly, to close the festival in style next year are Aerosmith. The Bostonian rock legends have twice graced the Donington turf since the Download Festival started in 2003, most recently delivering a festival stealing performance in 2014. With rumours of retirement imminent – will this be a UK swansong for the men who like to Walk This Way? Another ten acts have also been announced. Thrash icons Slayer (SLLLLLAAAAAYYYEEEERRRR) are joined by the lord of the undead Rob Zombie and modern metal bruisers Five Finger Death Punch. Rock / rap crossover supergroup Prophets Of Rage will make their UK debut, while there is a download bow for AFI. The rest of the announcement sees Of Mice & Men, Every Time I Die, Motionless In White, Sleeping With Sirens, Simple Plan, The Story So Far and the Chris Jericho led Fozzy joining the bill for Download 2017. Tickets for the 2017 Download Festival will be back on sale in the morning (Friday 4th November) at 10am with all details available on the official festival website. 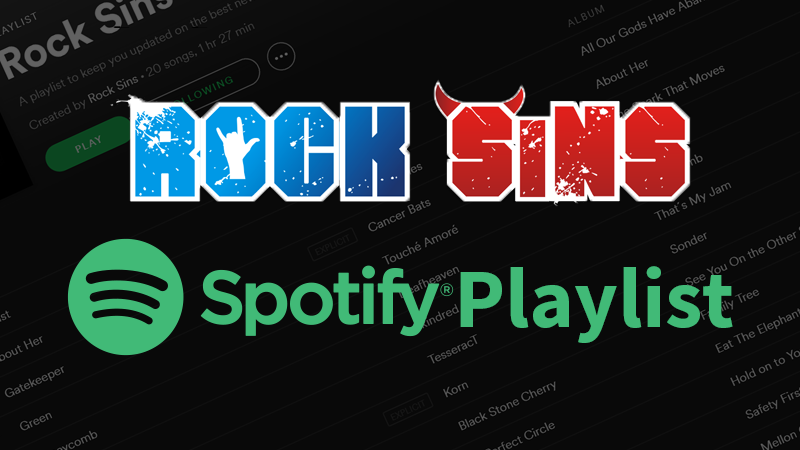 Further updates will be forthcoming and reported on here at Rock Sins as soon as they are made.